Bibigo’s kitchen flew from Korea all the way to Singapore. When it comes to Korean cuisine, I will get rather clueless as to what to order because I don’t really know much about the must-order Korean specialities. Thank goodness I was dining with a bunch of friends who are into Korean culture and knew what to order at any Korean restaurant. Dishes like their pancakes, bibimbap and sweet and spicy rice cake are must-order dishes which you patronise any Korean restaurant. What’s so unique about this restaurant is that you get to custom-design your very own bibimbap by choosing the type of rice, toppings and sauce. On top of that, health-conscious consumers would be glad to know that this restaurant stresses on the importance of using fresh and healthy ingredients to prepare the dishes. 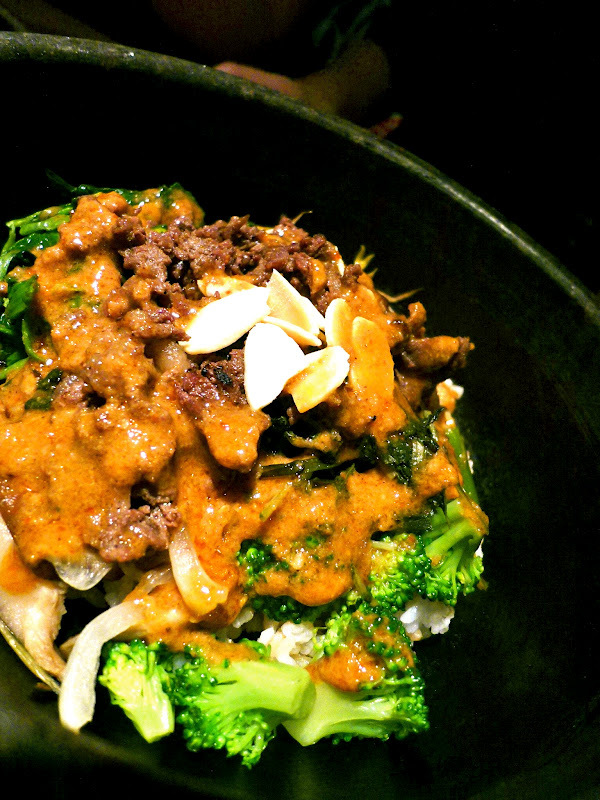 But if you do want to eat healthily, you might want to reduce the amount of sauce added to your bibimbap. It looks yummy but it doesn’t taste that fantastic as compared to those bibimbap I tried before. The hot stone bowl doesn’t really trap the heat well enough to keep the rice warm. The rice get cold after ten minutes. The Rice cake is well-marinated with the sauce which tasted quite appetizing but it’s a little tough to chew on. 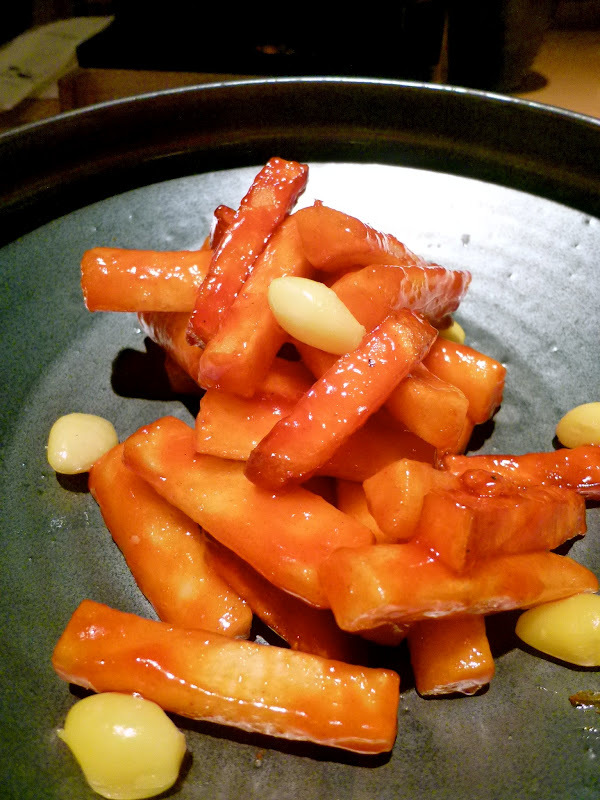 It is pan-fried and has a like crisp testure,quite unlike the usual way of preparing the sweet and sour rice cake which is steamed. That’s it for now folks! Stay tuned for more food reviews!